Home › News & Downloads › Deputyship Orders: Don’t delay your LPA! Many people put off making a Lasting Power of Attorney (LPA) due to a number of reasons. These can include the cost, hoping that illness or injury will not affect their mental capacity in the future, or the good old excuse of ‘I shall do it later’…but what if later is too late?! If an illness or injury affects your ability to make decisions for yourself in relation to your property and affairs, it may no longer be possible for you to make a LPA. This can lead to a very traumatic time for family members and would leave them with no other option but to apply for a Deputyship Order from the Court of Protection. Cost: A Deputyship is more expensive than a LPA, with a £385 application fee and £320 annual supervision fee (or £35 where Deputies are managing less than £21,000). LPAs cost £82 each to register and there are no ongoing expenses. The Court will allow solicitors to charge a fixed fee of £950 plus VAT for assisting with a Deputyship Order application. For a single LPA we will charge only £495 plus VAT. Time: The Deputyship application process can take up to 6 months, with a series of formalities to be dealt with. On the other hand a LPA can be registered within 8-10 weeks and requires fewer formalities to be adhered to. Scrutiny: A Deputyship is much more heavily scrutinised than a LPA. Deputies are required to report to the Office of the Public Guardian (the supervisory body for Deputyships) on an annual basis to show exactly what has been spent during the year. Such obligation does not exist for Attorneys; although it is recommend that they keep records of any actions taken. Protection: Deputies are required to take out an insurance policy, known as a ‘security bond’ each year, which protects the incapacitated person’s assets should they be mismanaged. No such insurance policy is required for Attorneys. It is worth noting that the Court may not grant a Deputyship Order covering all aspects you require on the Order. As such, further Orders and Directions may be required from the Court in the future, in turn incurring further costs and delay. Just like a LPA there are two types of Deputyship’s that can be applied for. This is the most common form of Deputyship and will allow your Deputy, the person appointed by the Court of Protection, to deal with your financial affairs on a daily basis. Your Deputy will be able to manage your bank accounts, pay bills and deal with your property as if they were you. Usually, the Court will not appoint a Deputy when a person who lacks capacity has no property or savings and their only income is social security benefits. In these situations the benefits can be managed by an appointee, appointed by the Department for Works and Pensions. During the Deputyship process, the Deputy will have to sign a declaration which will outline your circumstances and include details of the tasks and duties you as a deputy must carry out. You must be able to assure the Court that you have the skills, knowledge and commitment to carry them out. You must also assure them that there is nothing that might make your appointment inappropriate, for example if you have severe health problems, you are in a difficult financial position, or are bankrupt. The Court of Protection rarely grants Deputyships for health and welfare unless there are extreme circumstances. An example of when a health and welfare deputyship might be granted is if there has been a history of disputes within the family or there is a high risk of abuse etc. Decision-making in relation to personal welfare matters are essentially a collaborative process between family members, healthcare professionals, care staff, social workers and anyone else concerned with a person’s care. As such it would seem unjust to provide an individual with a special legal status to make such welfare decisions. If, however, you feel very strongly about authorising a certain trusted individual to make decisions about your welfare, a LPA for health and care is the best way to achieve this. In practice your Attorney will not be the only person able to make decisions relating to your personal welfare. Decisions can be made by your primary care team without the need to consult/gain permission from your Attorney. In any event, the importance of having an Attorney for personal welfare comes when there is a disagreement about an element of your care or treatment. An Attorney’s opinion in these circumstances will carry much more weight than someone without such authority. How can I prepare for the worst? At Leonard Gray we can discuss and advise you on your particular needs and circumstances; whether that is in relation to putting in place a LPA or assisting you with a Deputyship application on behalf of a loved one. If you would like to know more, please contact a member of our team on 01245 504904. 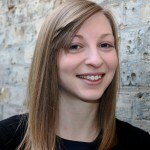 Jenna is a Solicitor in our Private Client team. She acts for clients on matters including making Wills, preparation and registration of Lasting Powers of Attorney, Deputyship applications with the Court of Protection and Probate work.